After a wild weekend of NFL betting results that included a bombshell 35-9 Miami Dolphins upset over the Denver Broncos, the biggest sportsbooks on the planet are ready for anything. The National Football League will return this Thursday, with a thrilling NFC South matchup that is shaping up to be one of the best Thursday night matchups we’ve seen all year. 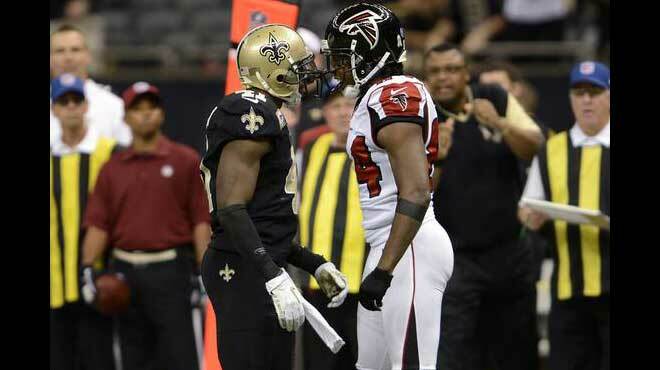 The Saints will be hosting the Atlanta Falcons this upcoming Thursday night and given the type of season these two have been having, there’s no question that this is a can’t miss matchup. Let’s take a look at what the best sportsbook betting lines on the web are predicting for this Week 14 pairing. The Falcons fly into this Thursday night contest sporting a 7-5 record that ranks them 3rd overall in the NFC South. Although few sportsbook players were expecting it, the NFC South has actually developed into one of the toughest divisions in pro football. The division is led by the 9-3 Saints who, out of nowhere, developed an extremely tough secondary. Behind them are the 8-4 Panthers who, like the Saints, developed one of the best defenses in the league seemingly out of the blue. Next are the 7-5 Falcons, the reigning NFC Champions, who are doing everything they can to get back to the Super Bowl. The Falcons had some stumbles early in the season, most notably a 3-game losing streak that sunk the franchise pretty deep in the division. The Falcons have rebounded as of late however, as they’re 3-1 in their last 4. Atlanta had an opportunity to win this past Sunday’s NFC matchup with the Minnesota Vikings, but Minnesota’s defense proved to be too much as the Vikings surpassed Atlanta 14-9. Nevertheless, the performance was still good enough to garner some favorable odds from the best sportsbook sites on the web. The Saints march into this NFC South rivalry with a 9-3 that, as aforementioned, gives them the lead in the NFC South. New Orleans kicked off the 2017 season on the wrong foot by losing their first two games consecutively. Since then, the Saints have turned things around as they’ve only suffered one loss since that nasty start. That 26-20 loss came against the Los Angeles Rams a few weeks ago which isn’t a bad team to lose to at all. Similarly, the Saints have defeated the Detroit Lions, Green Bay Packers, and Carolina Panthers twice during the year, so they’ve definitely picked up some quality wins along the way. The Saints last took to the gridiron to face the Carolina Panthers in a 31-21 winning effort. A quick glance at both of these teams’ numbers will reveal that we’ve got a great matchup on our hands. The Saints enter this matchup with the better offense as they rank 3rd in the league in scoring, 2nd in total offense, 3rd in passing and 3rd in rushing. That unit will be going up against the league’s 13th best scoring defense, 8th best total defense, one that ranks 7th against the pass and 18th against the run. The Saints aren’t as dominant defensively as they rank 12th in total defense, 11th against the pass and 17th against the run. Without a doubt this is a game that sportsbook betting fans will want to tune in for.